MADISON - We had a great time at our annual celebration this week in Madison, with many speakers expressing hope for the future of our state, and our country. You can also view it, since WisconsinEye recorded most of it. 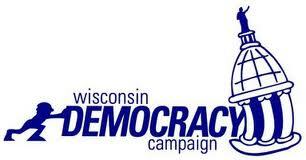 This week, we also kept up our reporting on the problem of money in politics in Wisconsin. http://newiprogressive.com/images/stories/S5/health-care-costs-s5.jpg Wisconsin has 2nd highest health insurance costs in America, an astounding 81% above the national average, while Governor Walker and Republican Legislative Majority do nothing. http://newiprogressive.com/images/stories/S5/trempealeau-co-bikes-s5.jpg The recent 10 year anniversary celebration demonstrated not only the success of the Recovery Court but the support of the entire Trempealeau County community. Everyone sees it as a wise investment that saves lives.